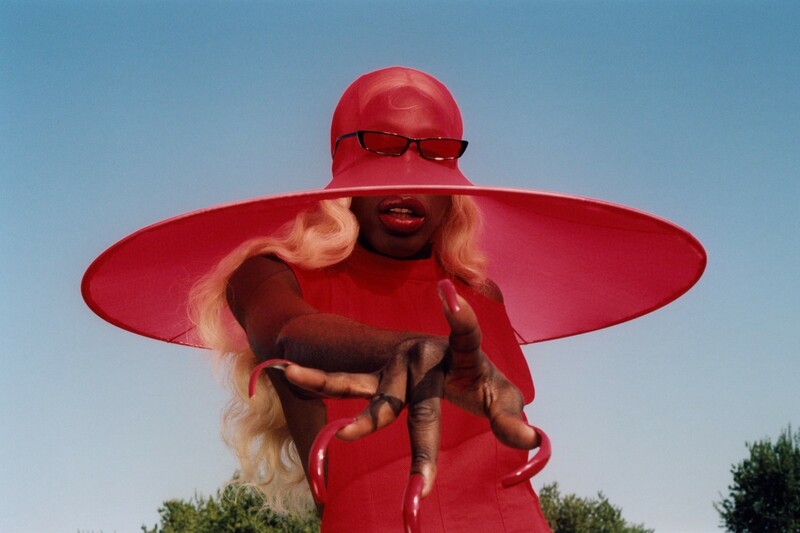 Musician, DJ and Fenty Beauty-addict Larry B is a brightly burning vision of modern beauty. Larry B. 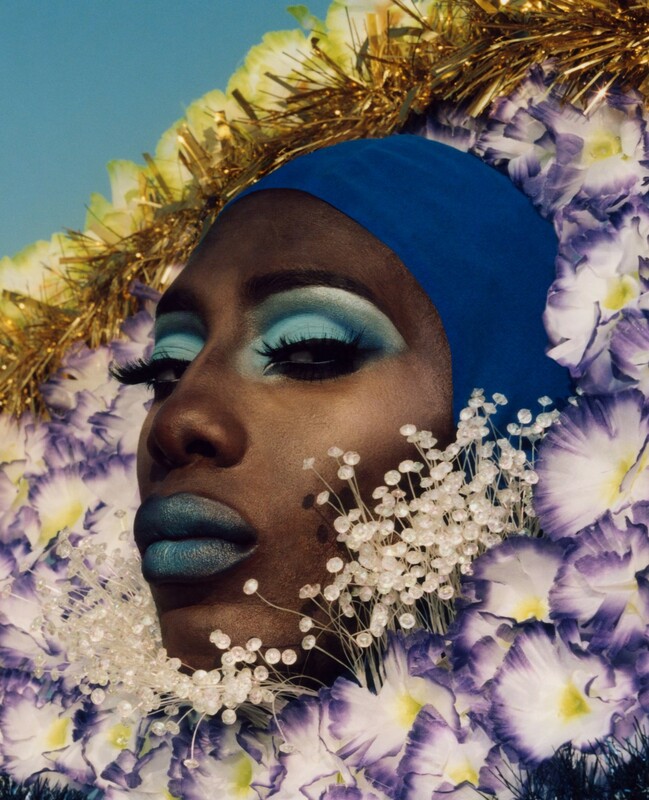 28-year-old South East Londoner, British Ghanaian DJ, producer, musician and muse, is an unmissable 6ft2 silhouette on the sidewalks of Kingsland Road. 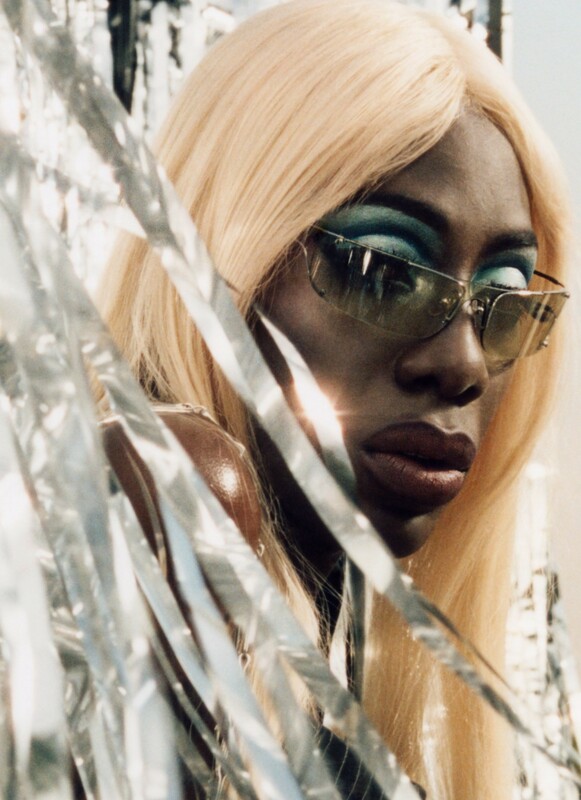 Larry has been a steadfast fixture on the London club circuit, playing at nights like Work It, and a key member of the East London creative community since the early 2010s. I first watched Larry DJing at Just Jam in a warehouse on Ridely Road Market in 2013. Larry was spinning Kelela's much sought-after Bank Head (produced by Kingdom) track. I knew instantly I was in the presence of a superstar. A lot has changed since then. Despite the early childhood aptitude for instruments (piano, guitar and drums) and singing, music as a non-secular activity came late in the day for Larry who is the son of a Pentecostal pastor. It was only last fall that Larry released an EP: 5 Sad Songs to much acclaim. A step away from Larry's cult mixes that were famous for their inclusion of warped Spice Girl samples or dramatic Jerry Springer dialogue layered over Claude Debussy’s "Clair de Lune". 5 Sad Songs is comprised of grown-up, rawly melancholic and introspective songs. Anybody who has ever felt out of place will strongly identify with them. They revealed a different kind of person and artist and a highly skilled song writer. Just as Larry's music has developed, so has his style. At school he'd wear one blue contact lens and "low Kickers with laces" even if it left classmates confused. Larry would go on to study fashion and photography at Central St Martins and continue to never worry too much about what other people thought when it came to looking good. "Around 2010/11 I was wearing black lipstick, black nails, platform boots and skinny jeans" he remembers fondly the discovery of women's black skinny jeans, and what that moment meant to him. Currently the look is high Ridley Road Market glamour. 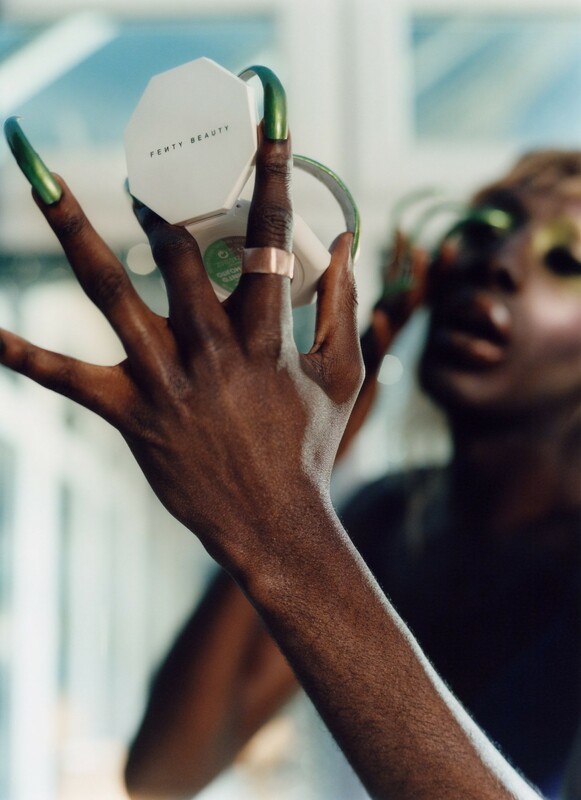 The fact that Larry's never shied away from using beauty and fashion as tool of self expression has meant people have loved him for it- major league British fashion designer Grace Wales Bonner and Fashion East's Asai Takeaway are both proud supporters of the Larry B movement. Now, the wigs change as quickly as the belts and the handbags. A bonafide Fenty addict best known for his humble positivity and largesse, we caught up with Larry to discuss Queen Riri, all-boys school and Jesus Christ. Who’s had the most impact on you in terms of style and how you look? Larry B: I guess it’d have to be Rihanna circa "What's My Name" till now. How did you feel about the way you looked as a teenager? Larry B: I didn't really like the way I looked as a teenager but who does? I guess there wasn't much I could do about the way I looked. I don't think it was the most important thing for me. Growing up in a strict Christian household, I had a huge distraction in the shape of Jesus Christ who I guess helped keep my mind off of a lot of teenage stresses. I didn't know it then but looking back I guess I'm quite thankful for that. How do you feel about the current state of the world? Larry B: I'm really hopeful. I think more people are coming to the understanding that Rihanna is actually about to take over! Do you remember thinking that anyone was very beautiful when you were at school, if so who and why? Larry B: Well I went to an all-boys secondary school so... yes! Larry B: When the squad is in full force and all the girls are looking good and feeling fine and every face is beat to Fenty perfection and there's drama and cackling as we storm the Kingsland road! If you had to choose one surgical enhancement, what would it be and why? Larry B: I'd love to get trophy wife as a constant facial fixture, so like a permanent tattoo of cheek highlight. That would be a dream. Larry B: Ok so I love the scent of the Gloss bomb, so it'd probably be that- or maybe the smell of weed because I'd hate to smoke up with Rih and not be able to smell her strain #stress. Larry B: I play through the Anti album. It's still actual gold nearly three years on.